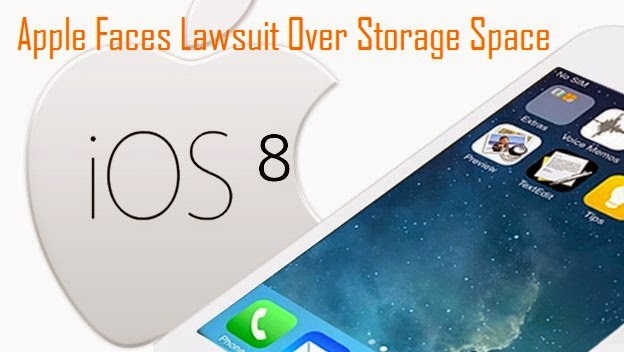 Recently it was seen that Apple is being sued by a pair of Florida men claiming the company has misled users about the storage capacity of its devices. They stated that more than 23 percent of storage space on Apple’s devices will be consumed by Apple’s iOS 8 alone. The complaint alleges that Apple failed to inform its users that installing iOS 8 would take up as much as 23.1 percent of the phone’s storage capacity. Paul Orshan and Christopher Endara, the two Florida men who have launched the suit, are seeking millions of dollars on behalf of a nation-wide class of Apple users, reported Business Standard. Apple faced similar issue around eight years ago as per CBS News reports. Apple won a battle over the amount of storage space on iPods. The issue was with the 8GB iPod Nano featured 7.45 GB of space, a difference of only 7.5 percent.